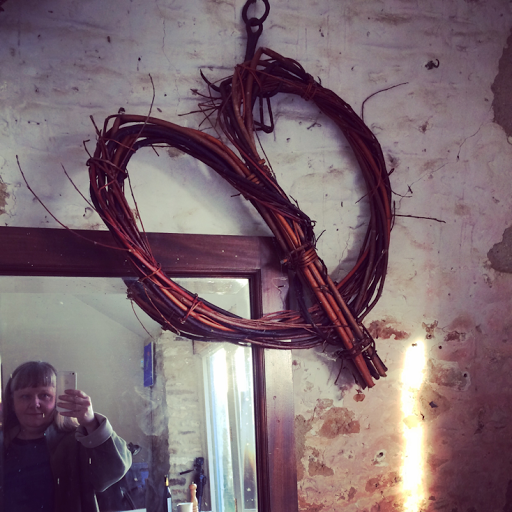 The Physic Blogger: British Flowers-the 2017 edition!! A birthday present to myself or a lovely friend. A gift. A treat. A piece of beautiful decadence. And for me that means buying those beautiful blooms from a trusted source, be that through a trusted online shop such as that at Common Farm Flowers, who grow glorious blooms and post them all across the UK, or my local, independent florist, The Mighty Quinn's Flower Emporium in Bristol's Wapping Wharfe, or any of the other places I buy from. 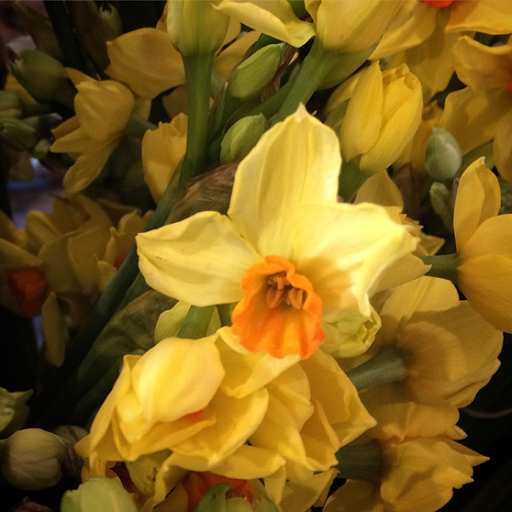 Today I bought my daughter early daffodils from a farm shop in Cornwall from where I could see the fields where they were picked and where the lady wrapped them with love, talking with genuine concern for her blooms in the storms arriving over the weekend. All these places, and many, many others across the country, grow or buy their blooms with the deepest respect for the land on which they grow, the people who do the growing and the blooms themselves, and this is why I urge you to make a commitment to try to buy British flowers when and where you can! 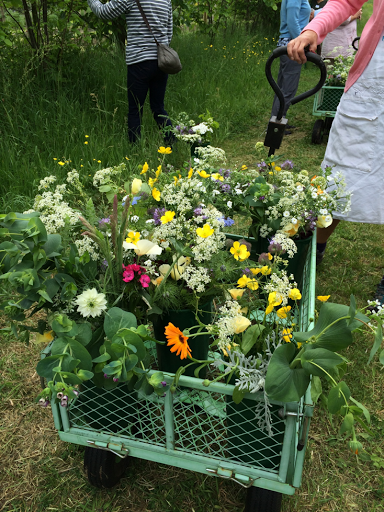 In years gone by our cut flower industry thrived, and our magnificent flower farmers are today working hard to replicate that success with small flower farms popping up across the land, often growing flowers that are rare to most florists as they travel poorly. Dahlias, Ammi, Foxgloves, Cerinthe and more, growing in huge varieties of colour and form, with little and generally no chemical intervention, proving that British grown cut flowers are not just good but are great. So before you rush to your local floristry franchise and buy out of season flowers that are generally covered in chemicals and flown in from Africa or South America, take a few minutes to find your nearest flower farmer and find out how they sell their flowers and make an effort to buy from them! From ranunculus to anemones, daffs to tulips and more, you'll get a beautiful bouquet that has supported an industry that is truly fighting to be the Phoenix from the ashes. 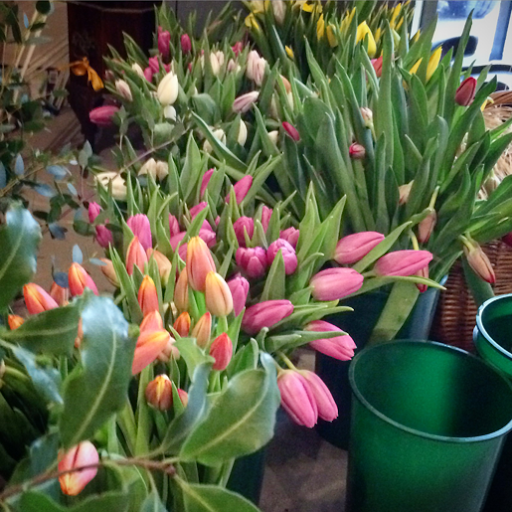 One of the main hurdles that I often have to overcome when purchasing flowers, is their source of origin. It is important for me to know if the flowers have been grown, using chemicals that are unsafe to absorb through my skin. I avoid flowers from outside of the country and instead, I go to locally grown farmers.